2 Bedroom Detached Bungalow For Sale in Wickford for Guide Price £230,000. This property's price has dropped from £250,000 to Guide Price £230,000. GUIDE PRICE 230,000 - 240,000 FEATURED IN THE BIG OPEN HOUSE - Please call to make an appointment. 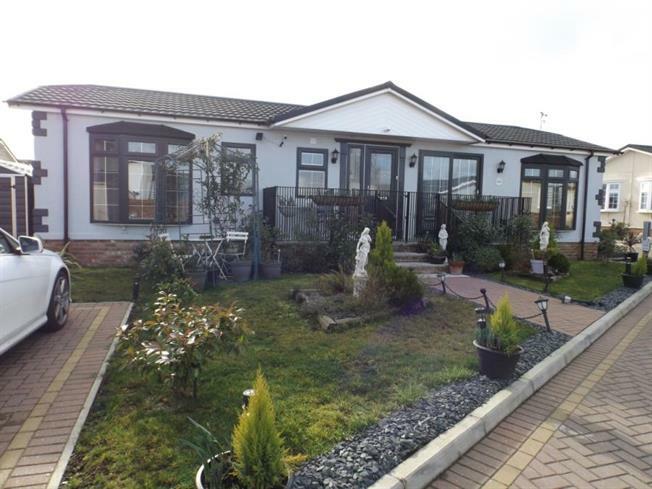 This 2 bedroom park home is located on Hayes Country Park. With an en-suite shower room, great size Bathroom with Roll top bath, great size modern Kitchen/Diner and off street Parking. This home is situated on an enviable plot. To the front of the property is a lovely landscaped garden. There are also landscaped gardens to the sides and back of the property. In addition to the double brick paved parking to the rear of the property, there is an additional brick parking bay to the front of the property. To the front of the home is a brick built gated balcony, ideal if shade is required on a hot summer day. Alternatively the south facing larger brick built gated balcony to the rear of the property is a real sun trap, and great for those summer barbecues. A metal 6 x 8 shed is housed to the side of the property. VIEWINGS ARE ADVISED.